Looking for LED Landscape Lighting in Houston? 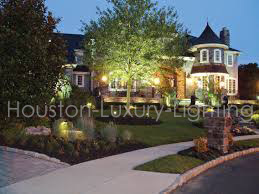 Houston Luxury Lighting offers LED Landscape Lighting in Houston and surrounding areas. We will help you create your own up lights, down lights, path lights, step lights, deck lights, wall lights or architectural landscape lighting to make your home or business beautiful. With our trained professional technicians, we will create the outdoor landscape lighting that you were always wanting for your home or business. Not only will LED Landscape Lighting look attractive, it will add value, and help with the security of your home. We install and maintain landscape lighting for both residential and commercial projects. LED Landscape Lighting offers a energy efficient solution for your home, office, indoor, and outdoor installation. Our LED lighting specialists can help you select the right outdoor lighting. Visit our gallery page to view more landscape lighting projects. Our estimates are provided at no charge, with no obligation. Give us a call Phone: (713) 481-1518!